There are many reasons why we should eliminate food waste. The World Bank recently listed five arguments why cities should take a leading role on food waste. A yearly contribution of 3.3 gigagrams of carbon dioxide equivalent is one consequence of food waste. This is more than the total emissions of India in two years. According to the World Resources Institute, food waste in cities costs millions. Urban regions play a decisive role because they are centers of consumption. For example, when it comes to fish, the world’s largest metropolis Tokyo is also one of the largest fish consuming cities. This is associated with considerable fish waste. The growing middle class with steadily increasing purchasing power, especially in cities in emerging countries, demands more and more fish. For instance, the estimated urban demand of finfish in 2025 ranges from 56.8 to 76.6 million tons every year. This means millions of tons of fish waste if one takes into consideration that leftovers from fish processing possibly weigh more than the consumed fillet. In other words, more than 50 percent of processed fish can be unused leftovers. It is a pity. Leftovers also contain a lot of vitamins and minerals. In order to reduce fish waste, NewfoodZ launched a crowdfunding campaign on Indiegogo. Allegedly, it is the largest food industry crowdfunding campaign goal ever. This US$1.5 million, 45-day campaign aims to reduce industrial food waste in the fishing industry by turning leftovers into powdered food supplements. Their wild-caught salmon waste recovery project in Alaska combats food waste at the beginning of the process chain. The science behind NewfoodZ is its innovative, low-energy, chemical-free preservation and dehydration process. The entire rack and head with skins will be processed to high nutritional fish products. The crowdfunded pilot plant mills the recovered material to a very small size. It can be used as pet food or for humans. This is probably more environmentally friendly than dumping it in the sea. Donators get a package of Orange Peel Powder made of recycled orange peel. Co-founder Christian Murray said, “We hope the public will recognize that by supporting us they’ll receive a great reward in our Orange Peel Powder. They also impact the whole world by helping bring our concept to the food industry and reduce food waste on a global scale.” If you are really convinced and able to donate generously to the project, you receive a free flight and accommodation for two to visit their operation plant in Alaska plus further amenities. It is not so long ago that electric bikes commonly cost more than US$1000. E-bikes for much less than US$1000 were a novelty. News about the first cheap but serious offers like from Storm Sondors were spreading like a wildfire in the bicycle scene. Now a further interesting offer from Coolpeds is dipping significantly below US$1000. 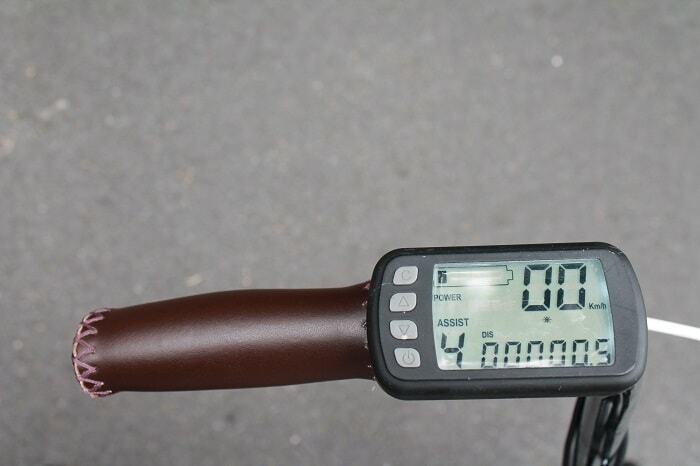 Their new iBike costs less than US$500. “From air quality to commuting times, the lives of the people who live in large cities are impacted more and more everyday. Through the use of the latest technology, we can offer an eco-friendly, convenient and affordable means of travel that will not only reduce pollution, but ease congestion on city streets, immeasurably improving the standard of living for people around the world.” emails Coolpeds. Dear fans and supporters, The Coolpeds Electric iBike campaign is live now! It is possible to drive with an estimated pedal-assist range between 30 to 50 miles (48 to 80 km). You can ride between 20 to 30 miles (32 to 48 km) with the 350 W brushless motor inside the front wheel if you drive out electrically. The crowdfunding campaign on Indiegogo was launched on July 8th, 2016 and provides two different iBike offers. The most favorable offer without shipping costs amounts US$468 if you are an early bird. One can define it as cheap compared with a retail price of about US$799 – 999. 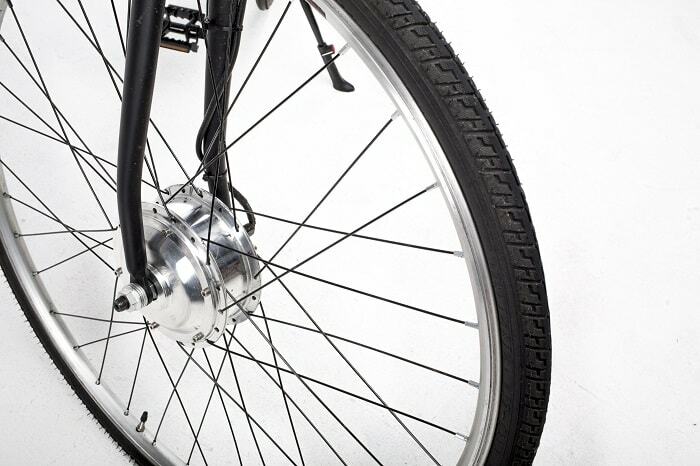 With its lightweight design, Coolpeds’ iBike has a weight of 29 lb (13.2 kg). That is significantly below the average and makes it is easy to carry it anywhere you like. IBike is equipped with a lithium ion 36 V battery from Samsung. It is replaceable and fully charged in 3 or maximum 4 hours. Coolpeds specializes in super lightweight electric scooters and innovative electric transporters. According to the company, their mission is to offer an innovative, compact and eco-friendly way to travel. One that not only helps people get around efficiently, but also improves local communities by reducing pollution and congestion. So they allegedly designed the lightest electric transporters in the world. Their scooters are not only light, they’re also foldable, produce zero emission and will even charge your phone. Coolpeds has just been granted a patent for a solar-powered scooter and plans to develop an innovative and affordable power train system for wheelchair users. Coolpeds USA is registered in California, USA. Last year, it was the second most successful crowdfunding on Indiegogo. The electric bike from Storm Sondors. But why? The main reason is the very low price. 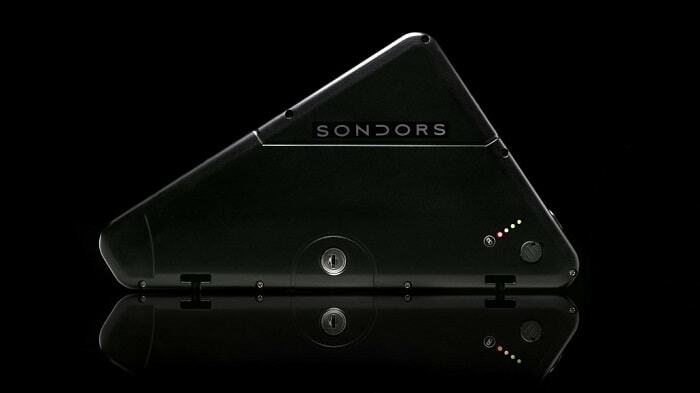 The second version, Sondors THIN, costs only US$499. It is a fraction of other purchasable ebikes and probably the most affordable way to cycle with an electric motor up to now. The second crowdfunding on Indiegogo started yesterday. After two hours 50 percent of the funding target has been reached. A few hours later it exceeded the threshold of 100 percent. 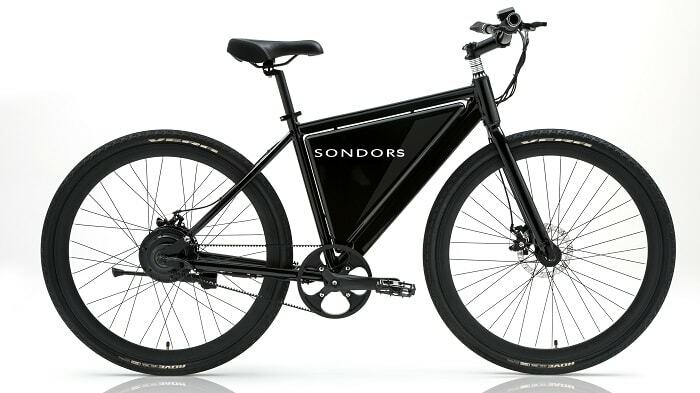 The incentive to spend money is a new Sondors THIN. 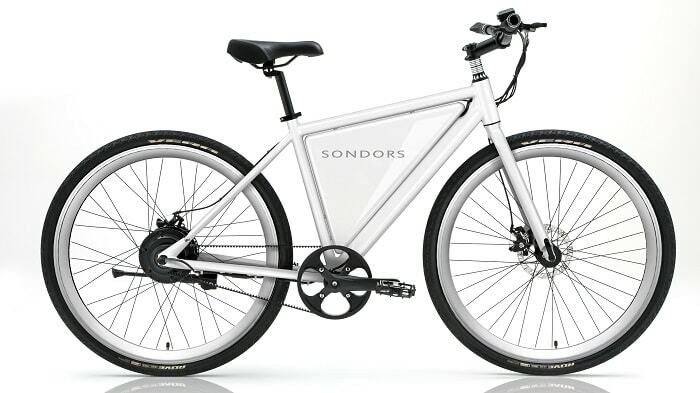 Storm Sondors shakes up the market for electric bicycles with its first edition Sondors and second edition Sondors THIN. The follower features a 350-watt electric motor propelling the bike up to 20 miles or between 30 and 50 if you cycle with pedal assistance. The motor is powered by a very thin single-cell battery from Panasonic (36V battery with 8.7Ah), proven technology in the Tesla Model S.
The bike is very light because of the 100 percent aluminium framework. 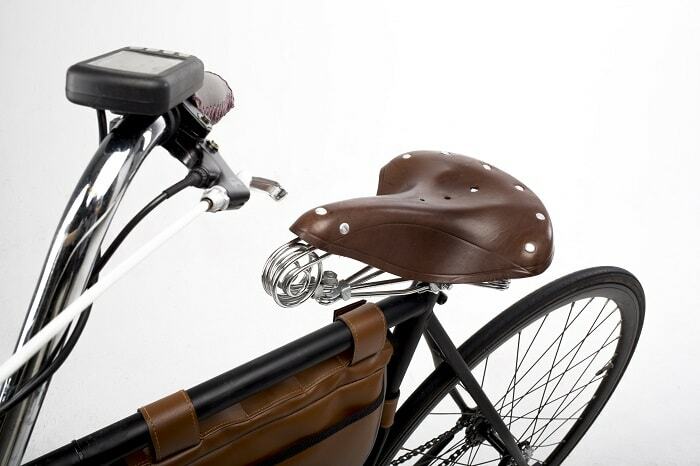 A nylon belt instead of a common bicycle chain is provided for further US$150. Shipping starts in May 2016 for Canada and USA. In Europe, the bike costs US$664. Shipping starts in June 2016. The European version is only equipped with a 250-watt electric motor because of legal regulations. Maybe Storm Sondors bicycle stimulates the electric bicycle market in the whole world. Together with high-speed cycle tracks, protected bike lanes and further incentives more commuters in the US and other countries and regions in the world choose their bike for the daily duty stroke. The more incentives to choose the bike, the less traffic noises and emissions in urban agglomerations.